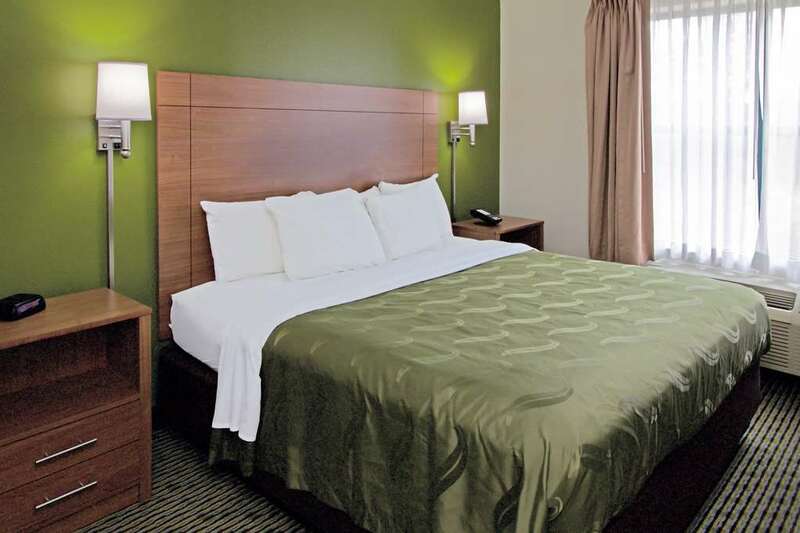 Get more value at the pet-friendly Quality Suites Lake Wright-Norfolk Airport hotel in Norfolk, VA, which lets you relax and focus on the people and experiences you came for. We are near Naval Station Norfolk, MacArthur Center, Nauticus, Virginia Wesleyan College, and Norfolk International Airport, to which we provide free transportation. Additional amenities include free WiFi, free parking, free breakfast, meeting room, business and fitness centers, pool and restaurant. Guest rooms feature a refrigerator, microwave coffee maker, hair dryer, iron and board. Also, earn rewards including free nights and gift cards with our Choice Privileges Rewards program. Pets allowed. 15.00 USD per night. The hotel accepts dogs only. No cats or other pets are allowed. All dogs over 20lbs must be in a pet friendly room on the first floor.